In what can only be a serious blow to the vaunted Honda reputation, the all-new 2012 Honda Civic has failed to receive a Recommend by the prestigious Consumer Reports consumer publication. The editors of Consumer Reports have long rewarded the Civic with Top Pick status among small sedans. The Civic has a reputation, deservedly so, according to CR editors, for reliability, and that’s not likely to change with the new-generation 2012 Civic. The Honda Civic scored poorly in the publication’s road tests of small sedans. In testing of the 2012 Honda Civic LX, the sedan only received a 61-point score, 17 points less than last year’s model. 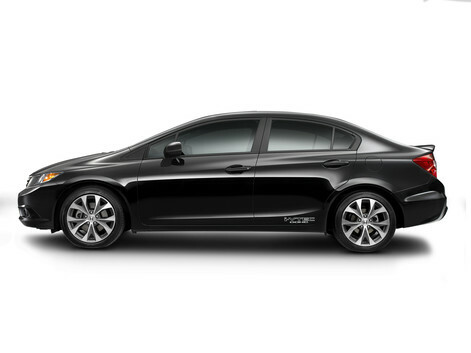 Editors major complaints centered around the observations that the 2012 Honda Civic is noisier than its predecessor, less agile, stopping distances are longer, ride is choppy, and the interior is of lower quality. These are some serious concerns about the latest Civic, but they’re not insurmountable. The editors of Consumer Reports did point out some plusses of the new Civic: decent rear-seat room and 30 mile per gallon overall fuel economy – second-best fuel economy behind the Toyota Corolla. Other vehicles in the Consumer Reports testing included the sedan and hatchback versions of the redesigned 2012 Ford Focus, as well as the hatchback model of the Kia Forte. Both the Focus and the Forte scored Very Good. So, which vehicles came out on top in Consumer Reports’ small sedan ratings? Highest scoring was the 2011 Hyundai Elantra (strong value, roomy interior, impressive fuel economy). Editors also note that the 2011 Chevrolet Cruze small sedan is much improved over previous small cars from General Motors, but its fuel economy still suffers because of too much vehicle weight. Both the Elantra and the Cruze were redesigned for 2011. The publication also singles out the redesigned-for-2012 Ford Focus as another example of the high bar that has been set by competitors to the Honda Civic.